Marketing is all about reaching your audience, connecting on an emotional level and convincing them your products and services are solutions to their problems. It just so happens that over 4.3 billion people around the world are on the internet, and if you’re selling products, you just can’t afford to ignore them. And when it comes to interacting and connecting with your audience, it just so happens the internet is arguably the most effective communication channel today. There’s a multitude of subchannels, that web marketing services exploit to reach your target and have them connect to your brand. This is the world of internet marketing, also known as online marketing. Because of how massive the universe of website marketing is, designing a website marketing strategy can be overwhelming. So, we decided to give you a rundown of the most effective channels today. We’re going to review each of the most popular and profitable strategies and channels web marketing services promote today, and I’m going to make some quick recommendations on how to integrate them into your existing website in order to improve your website marketing. SEO stands for Search Engine Optimization, and it’s currently the most powerful website marketing tool. Customers will then type these keywords, enter your website, and purchase your products and services. Well… It depends on how competitive the keywords you’re trying to rank for are, how good you are at online marketing, and of course, what your budget is. After all, there is a reason why it’s one of the most sought-after web marketing services, and why there’s an entire industry revolving around it. It’s precisely because of how profitable it is, that you need a competent agency or freelancer that can help you topple your competitors by outwitting them. Because when it comes down to it, basic SEO can only take you so far. For now, let’s review the top-ranking factors, and how to crush them to improve your website marketing. A backlink is essentially, a website that links to your website. Google counts these backlinks as vouchers, or votes. When a website links to yours, they’re saying: we’re referencing this website’s content because we think it’s worth sharing with our audience. It’s relevant to them. The owner or content editor of this website has already seen your content, either because you promoted it or you’re already known, (at least to him or her). They think your content is worth linking, and relevant to their audience. Backlink generation, or link building is one of the most important web marketing services associated to SEO. Because they’re so difficult to build over time. Most SEO Agencies and freelancers buy high quality PBN backlinks for their campaigns and websites, because they’re just as power as “natural” backlinks. But when you buy these backlinks for proven professionals, they’re vastly more powerful. 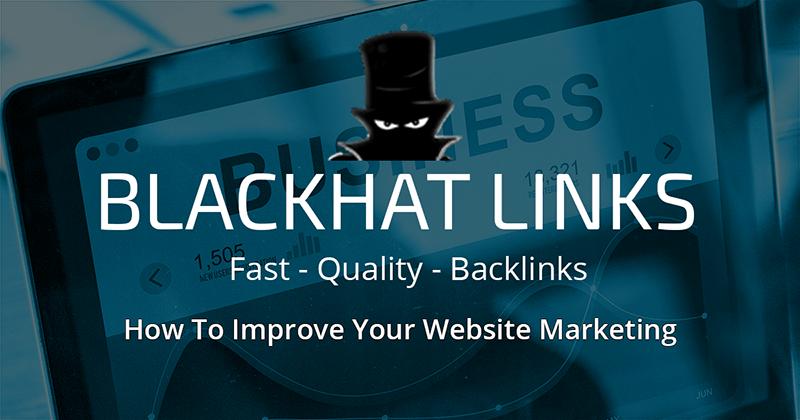 Blackhatlinks, for example, is currently offering their ultra high TF 40 PBN Blog Post Backlinks, which are essentially, extremely high-quality backlinks that are difficult to negotiate through white hat methods. Now don’t get me wrong, I always do some White Hat in my SEO campaigns, after all you have to mask some of your Black Hat activity. 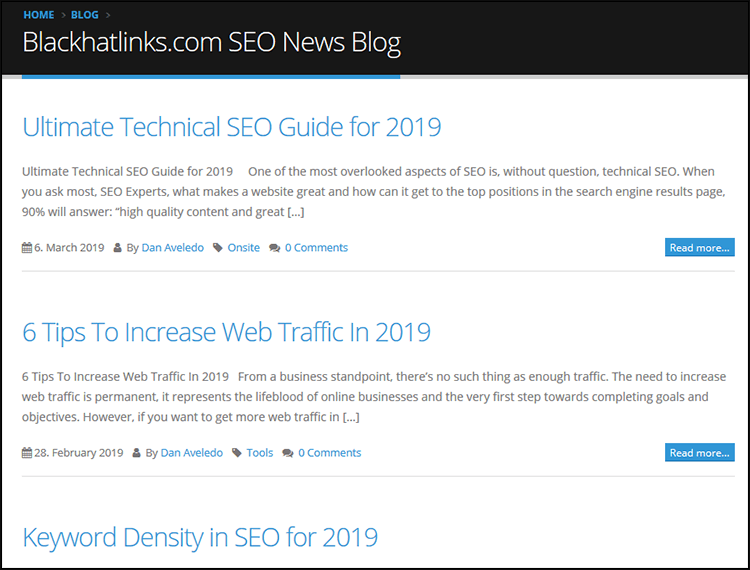 But it’s precisely because I’ve done Whitehat SEO that I understand how tough it can be to get high authority pages to link your content, (even if it’s really good!). The bottom-line here is that unless you have a strong content marketing strategy, it’s going to be difficult to expand your backlink portfolio. This means having a strong social media presence, aggressive email marketing and a commercial blog. Worry not, we’ll go some of these points and website marketing channels, but it’s important to understand why backlinks remain such a powerful ranking factor in Google’s algorithm. You can’t really sell online if you have a terrible platform. I’m sorry, but that’s the truth. 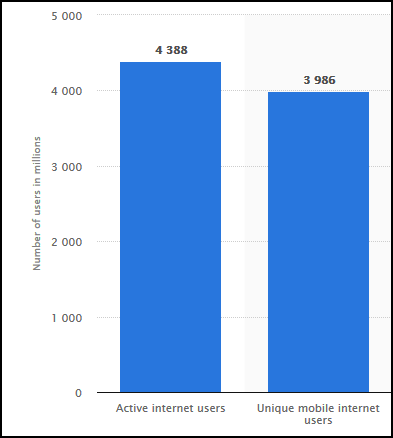 Mobile users make up for roughly 52% of all online traffic, and having a website that can’t properly accommodate potentially half of your visitors it’s not acceptable. Google is all about providing the best experience to users, which is why they’ve decided to penalize websites that aren’t mobile friendly in their search engine listings. When you purchase website marketing services, there’s a very real chance a website remodeling service is included, or at the very least recommended so that your SEO expert can directly control and optimize its content and be sure it’s visible on all devices. Making sure your website can be accessed by Google bots, has redirects (when needed) and an SSL certificate in place are some of the technical aspects that need to be properly audited if you want a robust, stable website. Any internet marketing company worth its salt will audit your website before starting any SEO campaigns. But it doesn’t hurt to double check! Google takes websites loading times very seriously when assigning the top spots on their listings. A fast loading time is directly related to an overall positive user experience while visiting a website. After all, who wants to wait over three seconds for a website to load? In our technical SEO guide (that I linked earlier) we briefly went over some of the biggest hacks to keep your loading times way below three seconds, and I highly suggest you take them into consideration before starting any SEO campaign. Now that we understand the basics of SEO for website marketing, as well as some key considerations from a technical and design standpoint, let’s move on the next big lead generation channel: Social media. Social Media can be a major traffic source in your website marketing campaign. Almost everyone is connected to at least one social media platform or website, so it’s safe to say your audience can also be reached through it. Well, for starters, social media marketing is basically creating and promoting highly targeted, relevant content for each social media platform. This content must drive user engagement (replies, likes, etc.) and get shared across platforms. What constitutes as quality content varies from platform to platform. For example, sharing blog posts in Twitter is known to work, because you can quickly promote your content within the character limit, and invite users to read more. 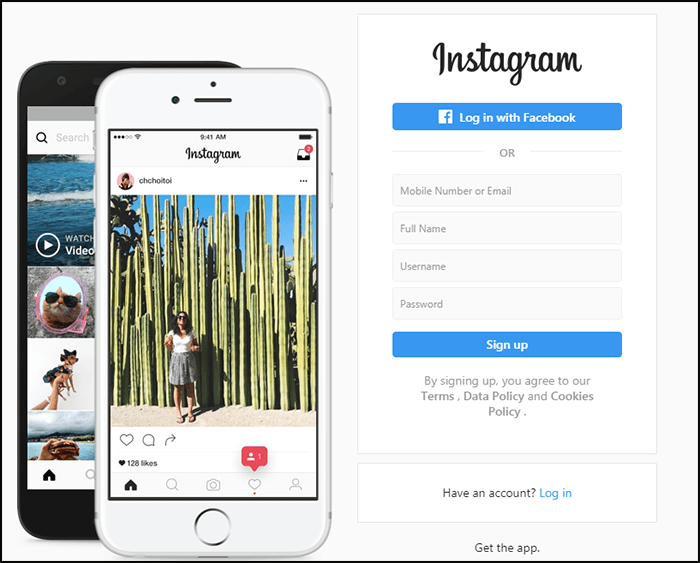 For Instagram, you might be better off going heavy on the visuals to catch your prospects attention. On other platforms, you’ll find that video content is king. It all depends on the social media you decide to do website marketing on. 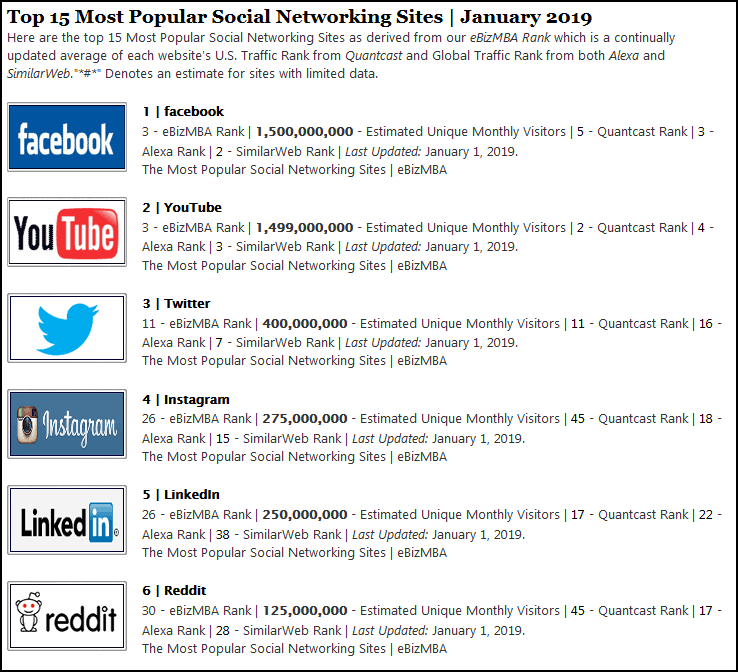 According to EbizMBA, these are the top social media networks. Unsurprisingly, Tumblr went down a few places after their most recent rules changes, while Instagram has experienced a meteoric rise through the ranks. Now, should you have an account in each of these networks? Probably not, in fact, I’d advise you to first determine where your audience is. Afterall, we’re not trying to inflate our follower list with fluff traffic that doesn’t really convert. No, website marketing services are all about getting you visitors that actually want to buy your products. 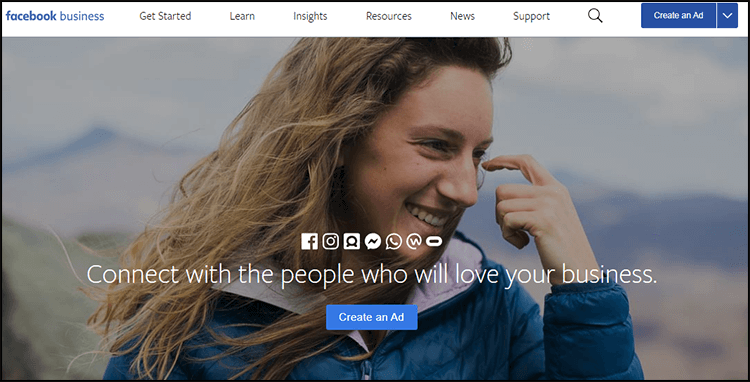 Generally speaking, most businesses can benefit from a Facebook account, their targeted (paid) ad system is scarily precise and has an excellent client focus. 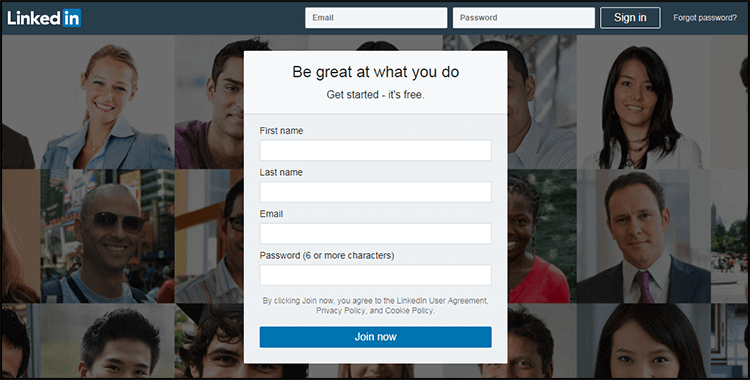 On the other hand, if your clients are businesses then LinkedIN can be considered a safe bet. Most website marketing services (especially those that work with online stores) absolutely love Instagram, mainly because it has higher conversion rates for product sales than other networks, and is littered with influencers that can help you promote your merchandise. Twitter has a bit of everything, and I’d highly recommend having an account in this platform as well. There’s no cookie recipe for choosing what social media is best for you. There’s only research. Hours of it, so take this information for what it is and expand on it. Regardless of the social media you choose, it’s important to generate an initial buzz that can help put your account in the map, and in people’s mouths. Sometimes generating enough buzz around a publication can get you to rank in a hashtag. 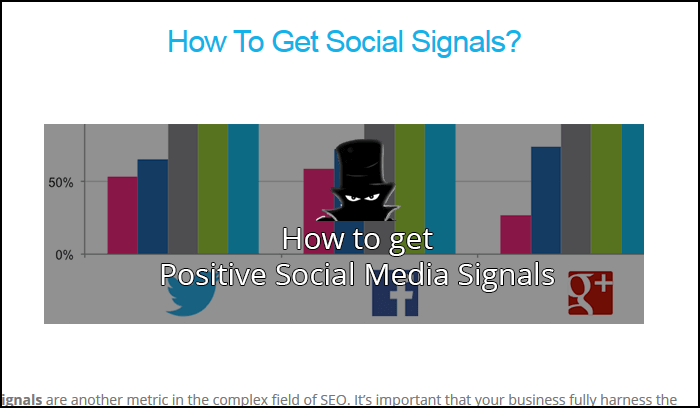 Blackhatlinks offers a positive social signals and shares package that does exactly this. With over 41,000 successfully completed orders, we’ve helped many of our client’s quality content finally go viral. For example, promoting one of your newest blog posts with a fancy infographic and a social signals pack has thrown some impressive results for our customers. The result is that you’ll find yourself with an almost overwhelming amount of opportunities to interact with your audience, expand your network and fully stablish who exactly are your customers. This knowledge is gold for any business, so there’s really no reason why you shouldn’t do your best to access it. Having said that, let me give you some advice to integrate your social media marketing with your website marketing strategy. And not just any share buttons. Use the ones that appear at the top of your content, and “follow you around”. 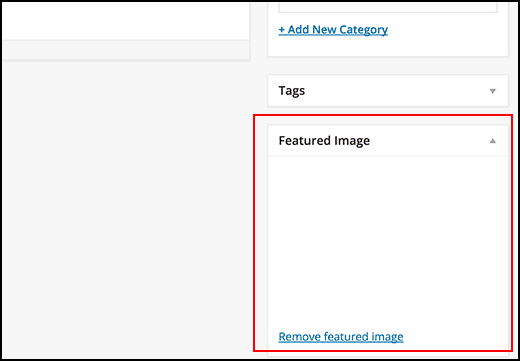 These are called “Above The Fold” buttons, and if you’re using WordPress, you can implement them on your blog with the Social Snap plugin. They’re proven to catch more likes and shares than “Below The Fold” buttons, (that are stuck at the end of the article). Remember, we’re going for convenience and value here! And having the right buttons can be the difference between going viral, or going stale. This one should be obvious enough – and yet it’s not! Always assign a featured image to your publications! A simple image that goes along your publication can earn you over 150% more Retweets. Images will catch your audience’s attention, it gives it a more professional look to your tweets or Facebook publications, and your website traffic will thank you for it. Read Our Social Media Guide! No, seriously. You should. Here it is. We included a bunch of actionable tips you can start implementing today so you can massively improve each of your publications. As a final closing tip for this section, I recommend you have fun while running your social media accounts! Many community managers have deviated from the strict business standards that public relationships departments recommend, and have a more candid, genuine approach to their audience. And this has paid off tenfold. Just something to think about. Let’s move on to Blogging and how it can improve your website marketing. Another incredible way to improve your internet marketing game is to create and curate a blog with content your audience will find useful. Having a blog will vastly improve your website marketing simply because it synergizes and interacts so well with the other online marketing channels we’ve mentioned. Having a blog will do wonders for your SEO. Creating new content will allow you to rank for more keywords than you normally could, for starters. The idea is to conduct a keyword research oriented towards your audience’s interests and burning problems, specifically those problems your products and services can fix and writing about them. They’ll find value in these posts and they’ll be more prone to reciprocate in the form of a purchase, a share, or maybe they’ll recommend a family member or friend your services in the future. These pieces of content can turn into what are known as “linkable assets“. Basically, they’re vessels for obtaining the backlinks we talked about earlier. Informational content, while lacking in commercial intent, is usually loaded with value that users from other websites might be interested in. This, in turn, makes website owners more prone to sharing your content and “vouching” for your website with a link. Accumulating enough of these backlinks will not only vastly improve your search engine result page rankings for your target keywords, they’ll also help position your business as an industry leader and help with your branding big time. Your social media accounts and your blog will also work together quite nicely. When you’re doing website marketing, or more specifically, Blog content creation and promotion, you’ll want to let your social media followers know that you’re posting quality content they should check out! Once you expose your Blog content to your Facebook or Twitter audience, you’re giving them a chance to interact and share it with their followers as well. Your social media followers will contribute to your website marketing by spreading the word about your services and who you are. And if your content is good enough, you might even go viral! Having a Blog, however, does involve a significant investment of time and effort, and it’s something you need to consider when doing website marketing. Allow me to explain some of the nuances and share some tips. Blogging takes time. Each post requires you to do extensive research into your target’s interests, and the keywords associated to them. Then you have to write the content, incorporate media assets like images, videos, infographics, etc. Then you need to upload the content, do some online editing to make sure everything looks the way you imagined it, before finally publishing it. Then you need to repeat this process a few times a month. Running a blog takes a lot of time and effort, and it’s important the resources you pour into it are worth your while. Keep that in mind. Call to actions are essentially attention-grabbers. They’re scattered around your blog posts, reminding and convincing your audience that your products and services are what they need. It’s important that they’re as clear as they are visible. Your visitors want to be led. So, lead them! Clear. Concise. You’re telling your audience exactly what to do. That’s considerably more powerful. It’s also highly recommended that you test different versions of your call to actions to figure out what works best for you. Our landing page optimization guide can help you through this process. We’ve discussed the importance of SEO optimization in the past, we’ve even suggested some very basic (but powerful!) actionable tips you can start incorporating today. But it’s not just about meeting a keyword density parameter, it’s also about filling your publications with media resources. You’ll want each of your posts to feature several images, or video embeds whenever possible. Nobody wants to read a wall of text, people want visual aids or at the very least something that helps make content easier to read. Are you reviewing data? 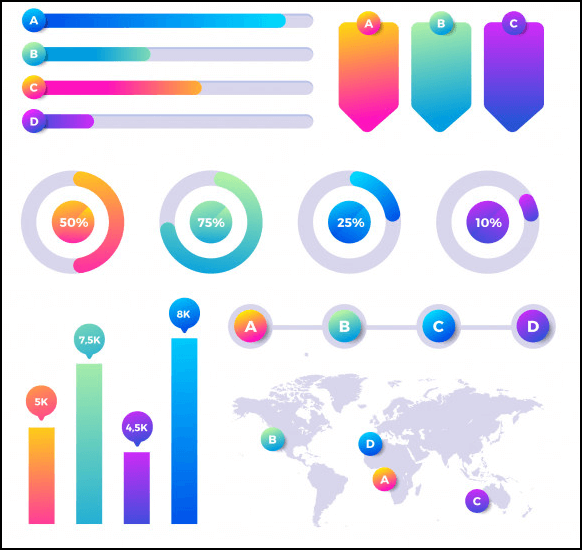 Then slap on a few graphs and charts that can help your audience understand why it’s important. 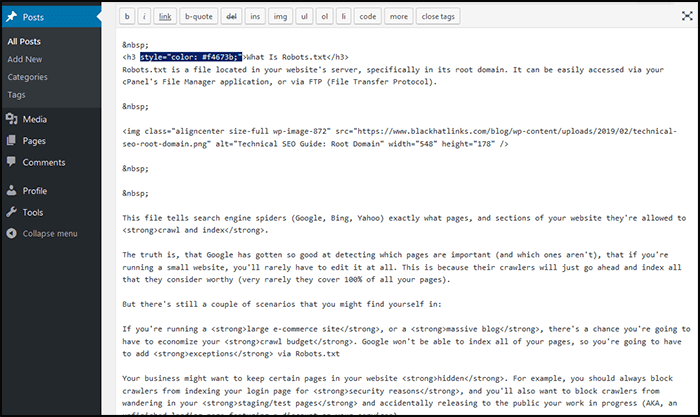 Check out your WordPress theme tools. Is there anything, perhaps you can incorporate into your blog post that will make your audience go “oh wow, that’s neat!”. 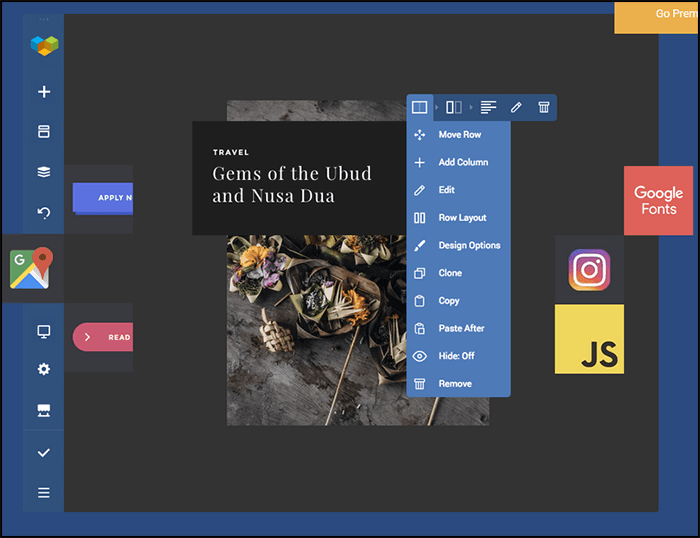 Visual Composer, for example, is a very popular WordPress plugin for website construction and has a ton of resources you can use to make your content as visually appealing as possible. Bottom-line here is: SEO optimization is more than just meeting keyword and headlines parameters, it’s about making your content enjoyable, and easier to read! Hosting guest posts is nothing short of amazing. It’s an excellent way to expand your online network of contacts, and it can save you from having a slow month in your blog, since you won’t be creating the content directly. In fact, the topic might even be suggested to you! Like I mentioned at the start, curating a blog is hard work, and requires dedication and time you might not be able to have every single month. Guest posts can be that helping hand. What you do with your newfound business associate is entirely up to you, but I’d recommend you ask for non-reciprocal backlink opportunities, which basically means avoiding asking him to link back your website directly, but rather see if he knows someone that would be willing to host you instead. 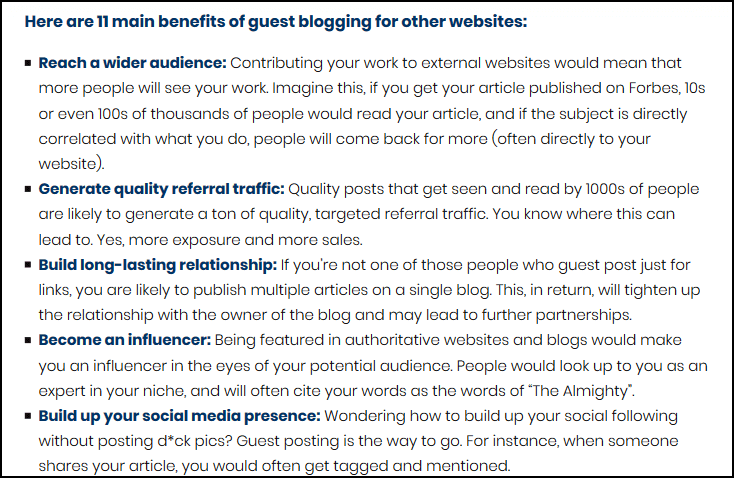 The possibilities are endless, and you’ll find that guest posting is a great way to initiate yourself in website marketing. Improving your website marketing strategy is simple, but time consuming. It is filled with nuances and pitfalls that may set you back months or even years’ worth of time if you’re unaware of them. Which is why I highly recommend you outsource your internet marketing service needs to an agency or freelancer: that way you can handle decisions that directly affect your business from an operational point of view, and let them handle the marketing side of it. However, if you’re set on taking over your website marketing channels, then you should definitely start with the ones I’ve listed in this guide. You’ll notice that there’s a lot to go over. Remember to check out our Blog often, there’s already tons of information you can start using today on some of our other published guides! Best of lucks, and thanks for reading!